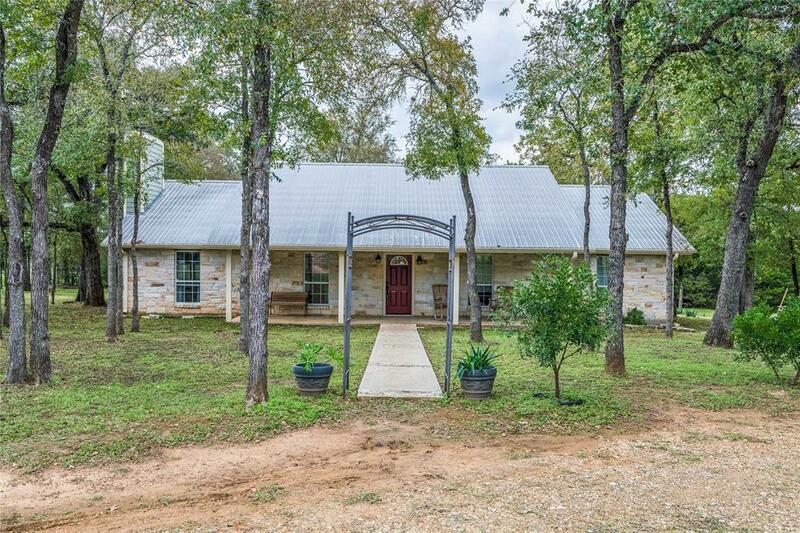 If you're looking for gorgeous, peaceful country living, look no further! 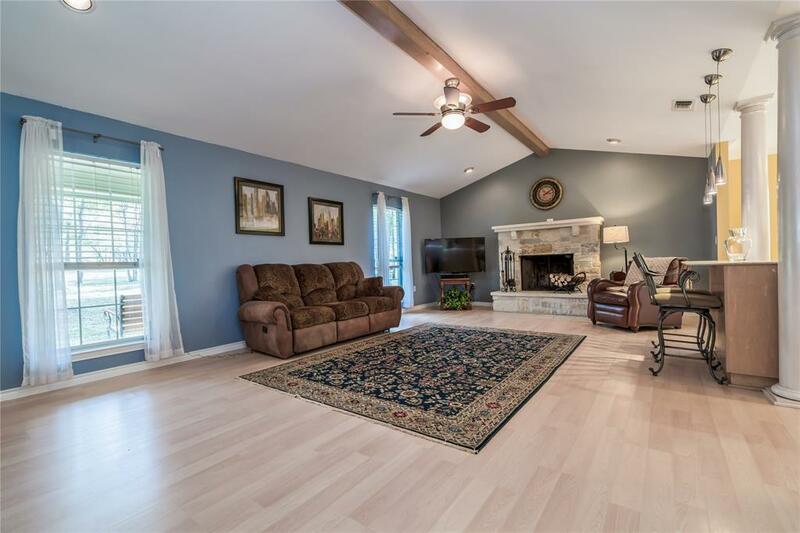 Charming 3 bedroom, 2 bath home situated on just under 4 acres and nestled among mature trees, so serene. 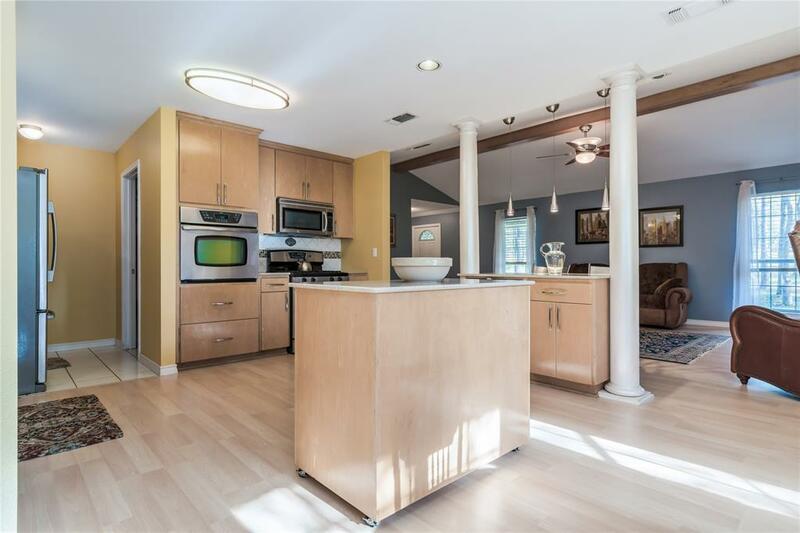 Open concept floor plan accentuated by attractive wood beams & abundant natural light. Gourmet center Island kitchen is the perfect place to prepare your meals and enjoy the stainless Amana appliances including built-in double oven and microwave, granite counters, and plenty of storage. 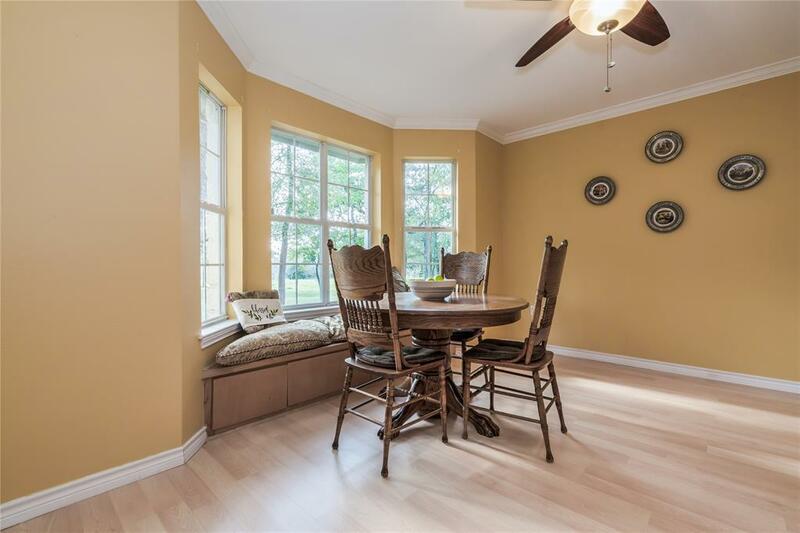 Guests will feel at home in the dining area with adorable bay window. Master suite with private en-suite bath includes spacious walk-in closet, generous soaking tub with shower, and double vanity. 2 secondary beds will accommodate guests or a , or set up your home office and beat the morning commute. Get outdoors and enjoy the front or back covered porch, or on a crisp Texas evening take a dip in the hot tub. Or kick back by the pond with fishing pier! Separate workshop and additional storage shed.